Degenerative disc disease is the primary cause of pain in the lower back and the neck. Unfortunately, most people do not understand what degenerative disc disease is, what causes it, or how it’s symptoms may affect them. The chronic pain and weakness caused by degenerative disc disease is usually a low-level pain with periodic spikes of severe pain. Degenerative disc disease most commonly affects the cervical spine (the neck) and the lumbar spine (the lower back). This is because your neck and your lower back endure a higher level of stress and motion than the rest of your spine. As a result, these areas have a higher level of susceptibility to disc degeneration. Your spine is under enormous stress every day. When you walk, sit, lay down, or move, force is placed on your spinal discs. With time, this force can cause your discs to malfunction and break down. The wear and tear your discs experience is referred to as degenerative disc disease. Your spinal discs have very few nerves, so your discs usually do not cause pain. 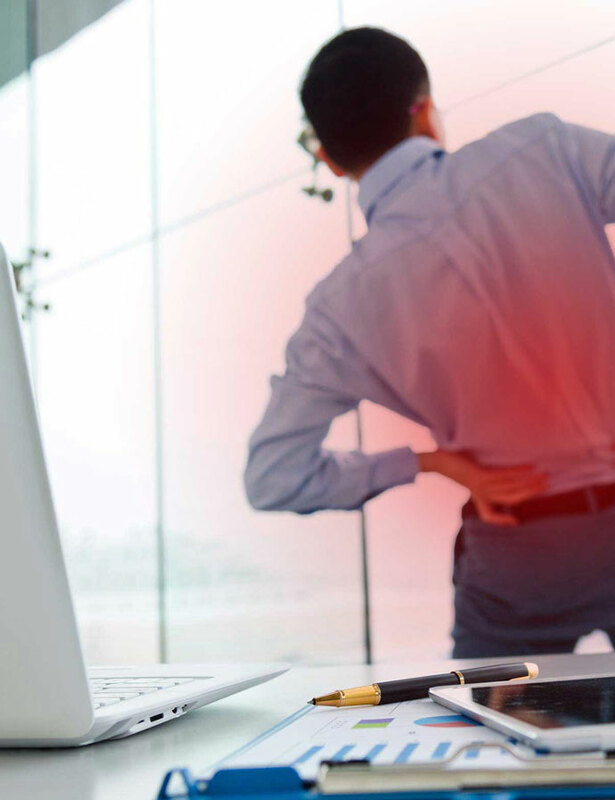 The pain you feel from degenerative disc disease is the result of the degenerating disc affecting other systems, tissues, and nerves in your back. The pain caused by degenerative disc disease is very low grade. The pain may flare up when you put abnormal stress on your spine, or pain levels may increase for no apparent reason. After a few days or a few weeks, the pain returns to a low grade level or goes away entirely. Most degenerative disc disease sufferers have a baseline of pain that ranges from nonexistent to severe. It is rare for degenerative disc disease to cause debilitating pain. It’s important to note that the severity of your pain does not necessarily correlate to the severity of your injury. Severely degenerated discs may produce no pain, whereas slightly damaged discs may result in severe pain. Your medical history will go a long way in helping your doctor diagnose your condition. Your doctor will be keenly interested in learning about your history of pain. When did you first experience pain, and how long have you been dealing with it? What things increase and decrease your pain? Other questions about dietary habits and exercise levels will help your doctor evaluate your condition. A physical examination and imaging tests will give your doctor a clear view of what’s causing your pain and of how your pain is affecting you. Reflex tests, range of motion tests, MRIs, and x-rays may be used in this regard. During your consultation with us, we will discuss the pain you are experiencing. After we thoroughly understand how your condition has been affecting you, we will work to create a minimally invasive treatment program that is right for you. Degenerative disc disease can produce constant pain that robs your life of joy. You do not have to live with pain. Let us show you how you can make your back pain a thing of the past.